The Saarbrücken site of the DFKI is located at the Saarland University in Saarbrücken. 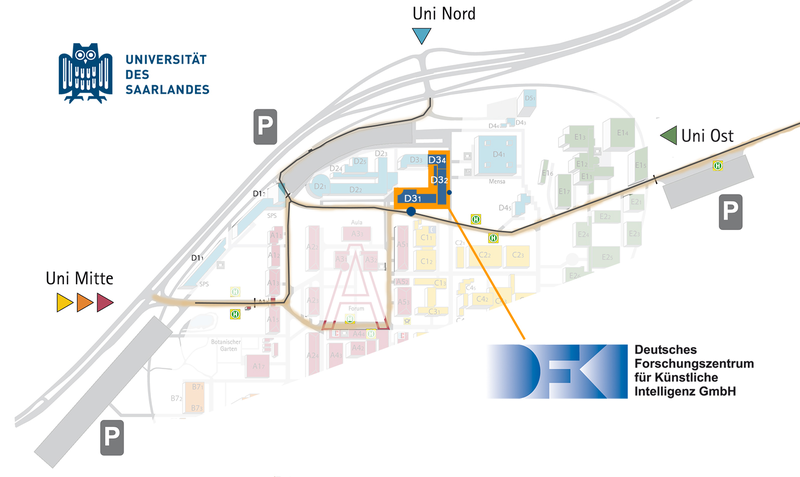 This map shows the exact location of DFKI within the campus. 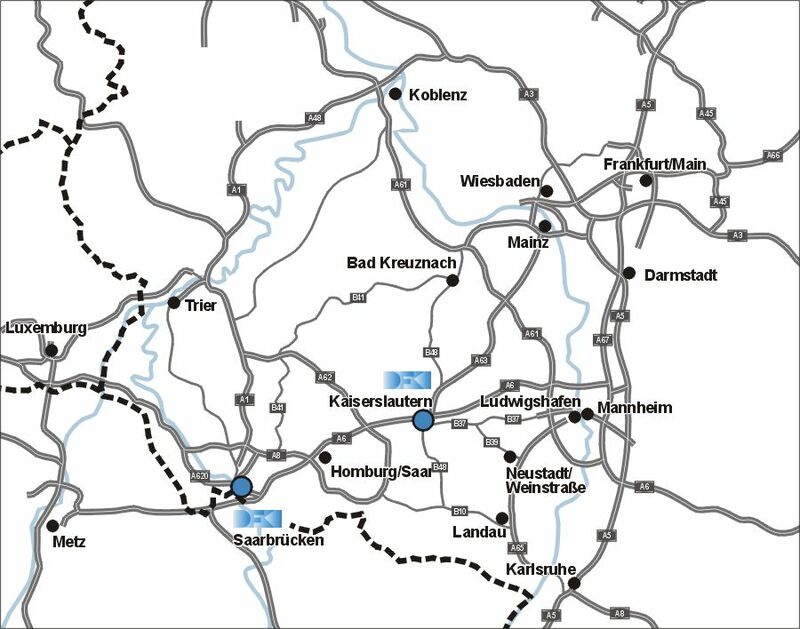 Leave the freeway at the exit “St.Ingbert-West” and follow the sign pointing towards the university (“Universität”). After 3 km turn slightly to the left onto L252 and keep going straight on - after another 2 km take the exit towards “Universität-Nord / Science Park Saar”. After the underpass continue for 300m and then turn to the left. Get a ticket at the gate and continue for another 200m until you see the white DFKI building at the left with its blue window frames. There is a parking lot below the building. If necessary ring the bell at the gate. 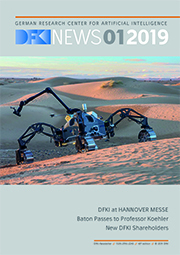 Visitors who are using the DFKI-Parking Area can get an free exit ticket at the DFKI reception desk (on demand). 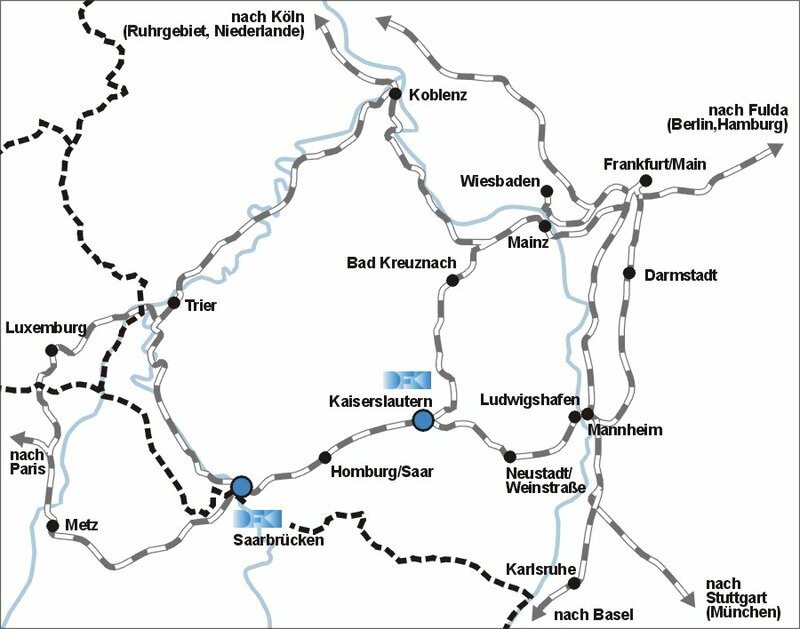 Take the train to Saarbrücken HBF, then by taxi (approx. 10 minutes) or by bus. At the airport exit take a taxi to Saarland University (“Universität des Saarlandes”) in Saarbrücken. Travel time is about 20 minutes. 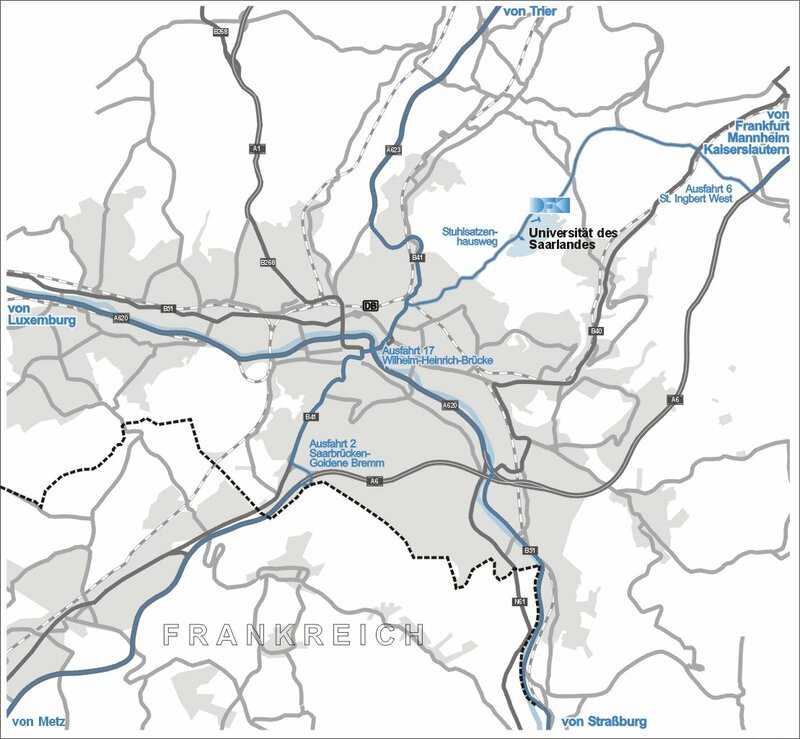 At Frankfurt Airport railway station take the train to Saarbrücken main station, then take a taxi (ca. 10 minutes) or the bus (for further info and connection queries see Saarland transport association's site VGS).